Our roots run deep at The Homestead 1835. 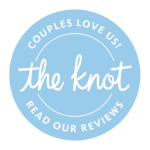 What began as a humble, family-owned farm in northern Indiana has become a charming, versatile, full-service wedding and reception venue that still maintains a distinct family feel. With a history going back to 1835, the land was farmed by Chester Szymanski (Lori's father) and his wife, Virginia, for over a half-century, until she passed away in 2001. Chester still lives in the original farmhouse on the property. Today, the farm is managed by Chester's daughter, Lori, and her husband, Dave. Together, they have transformed it into a historic venue for weddings large and small. The Homestead 1835 is still family owned and operated. Personally involved in each event, our hope is to make our family an extension of your own, as you plan one of the biggest days of your life. Our team will work closely with you to bring your dream wedding to life with a host of area vendors who will provide extraordinary food, beautiful photography, great music and more! The Homestead 1835 is easy to get to while still feeling like a place away from it all.